In about a year throughout the course of the Reign of Terror, official public execution by guillotine numbered over 16,000, but while the guillotine is the iconic symbol of the Terror, it was hardly the deadliest. 40,000 more were executed without trial, 200,000 more from the civil war in the Vendee region of France, totaling at a minimum of 260,000 deaths, all of which were justified by the radical idealism of Parisian revolutionaries. The treatment of counter-revolutionaries in the Vendee was the most shocking, and as the war in the Vendee came to a close, no mercy was given for those associated. One army officer reported after pursuing retreating insurgents, “The road to Laval is strewn with corpses’, reported one of his men, ‘Women, priests, monks, children, all have been put to death. I have spared nobody.” After the Vendee’s defeat, groups of soldiers called ‘infernal columns’ were sent to ravage the countryside and to kill any locals on site. The men carrying this atrocity out were ordered, “to deliver to flames everything that can be burnt and to bayonet any locals whom you meet on your way … there might be a few patriots in this country; never mind, we must sacrifice them all.” The men, women, and children targeted by these official massacres would have been seen as fellow church-goers and subjects of the king only a few years prior to the Reign of Terror. Now they were viewed as something outside of the nation, as enemies of the state who deserved no quarter, and no place within the nation of France. The ideological rift between the peasants of the Vendee and the Revolutionaries coalescing in Paris divided each side on moral grounds. 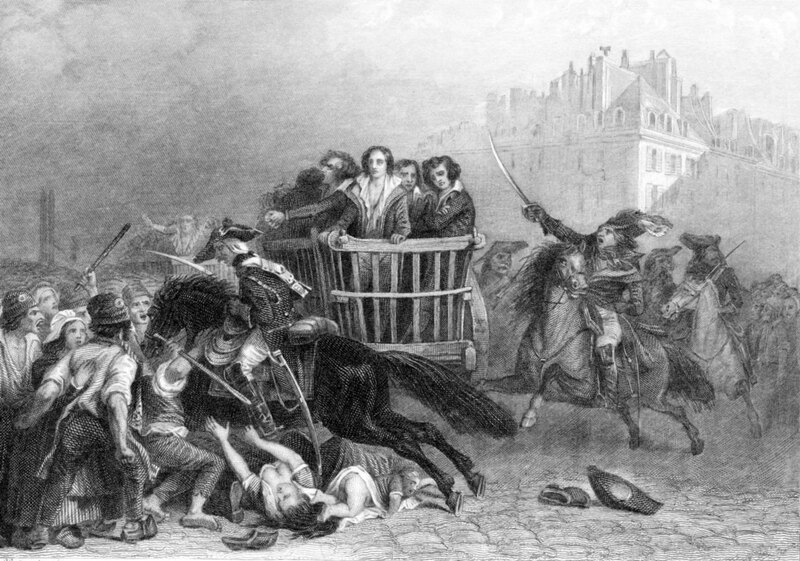 Rebels in the Vendee believed that they were protectors of the Church and of the monarchy and would not submit to the evil atheistic revolutionaries who hunted down their priests and killed their king. The opposition to key revolutionary dogmas, made the rebels in the Vendee enemies of the ‘real’ French people in the eyes of the revolutionaries. It was throughout the Reign of Terror that these enemies of France were to be purged from the citizen body. Gough, Terror in the French Revolution, 77. Doyle, Oxford History of French Revolution, 256-257.